Who: SWW is organizing FREE booth space at the Moriarty Literary Event on Saturday, April 19. Sponsored by the Moriarty Community Library. All SWW members are welcome. What: Join this book event and get FREE booth space with other SWW members. We’ll have fun together! FREE booth space. Continental breakfast provided, buy your own lunch on-site. Why: Promote and sell YOUR BOOKS and The Storyteller’s Anthology. R.S.V.P. ASAP to Peggy Herrington at peg@msn.com. P.S. 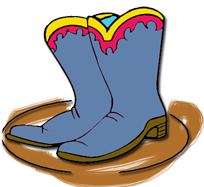 Wear your cowboy boots!